With trends coming and going every few months, it can seem impossible to keep up with the latest styles. Constantly purchasing new items can be extremely costly, and it can be a bad investment when those things may not be in style a few months down the road. If you’re anything like me, you know how tempting it can be to keep up with the current trends, especially after seeing how cute they look on your friends or favorite celebrities. If you find it difficult to keep up with the latest trends but still want to look cute on a budget, here are a few tips for saving money on trendy clothing. Thrifting is one of my favorite weekend hobbies. Stores like Goodwill and The Salvation Army make it easy to find trendy clothing for next to nothing. A lot of thrift store clothing could be considered outdated, which is perfect if you’re searching for 90s-inspired pieces, a hot trend right now. 90s styles like high-waisted jeans, flannel shirts, and oversized sweaters are extremely easy to find at thrift stores, and you’ll be paying a fraction of what you would be paying at a retailer like Urban Outfitters or American Apparel. An added bonus to thrift shopping is that you’re pretty much guaranteed to find unique pieces that other people don’t have, and you can mix and match secondhand pieces with newer items. Thrifting is a great way to purchase trendy clothing on a budget, and you’ll have fun searching the store and discovering cool, unique items. One of the coolest things about modern technology is that you don’t even have to leave your house to shop the latest trends! Apps like Depop and Poshmark make it easy to browse cute, trendy clothing from your phone and make purchases at the click of a button. These apps allow users to shop other people’s gently used clothing, as well as upload and sell your own clothing. Shoes, handbags, and jewelry can also be purchased through these apps, making it possible to buy an entire outfit without even having to leave the house. These thrifting apps allow you to check out other people’s closets without having to physically go to a thrift store and spend hours looking through racks of clothing. Additionally, many people on these apps offer “bundle” deals, which means you can purchase multiple items for a lower price than if you were to purchase them individually. 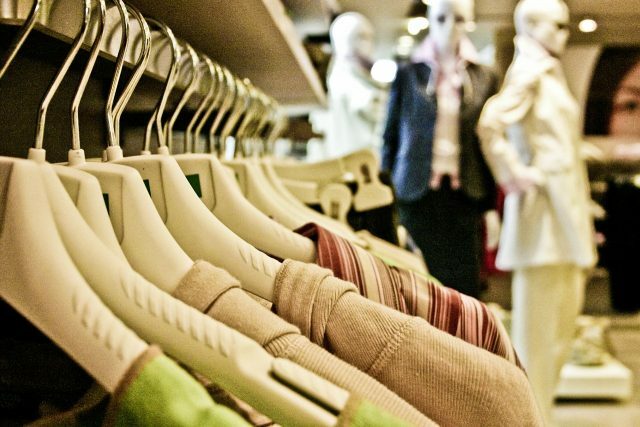 Looking around for sales at local stores is another great way to find trendy clothing without breaking the bank. One way you can do this is by checking your local business listings and seeing if there are any stores holding current or upcoming sales. Many stores hold special sales for holidays, such as Black Friday, Memorial Day, and Presidents’ Day. If you want to purchase trendy clothing directly from the store, waiting for a sale would be the best time to do it. Additionally, check around and see if there are any yard sales happening in your town. Yard sales are especially popular during the summer months, and can be great ways to raid other people’s wardrobes and find unique pieces that no one else has. Being trendy doesn’t have to be expensive, and thrifting the latest styles can be a fun and creative way to collect pieces that are one of a kind!